Celebrate the fortieth anniversary of the fluffy and fearsome classic Bunnicula with this pocket-sized edition, perfect for accompanying readers on all their mischievous adventures. This special edition includes bonus content and a deluxe cover that looks and feels as eerily delightful as the story within! Harold the dog and Chester the cat must find out the truth about the newest pet in the Monroe household—a suspicious-looking bunny with unusual habits…and fangs! 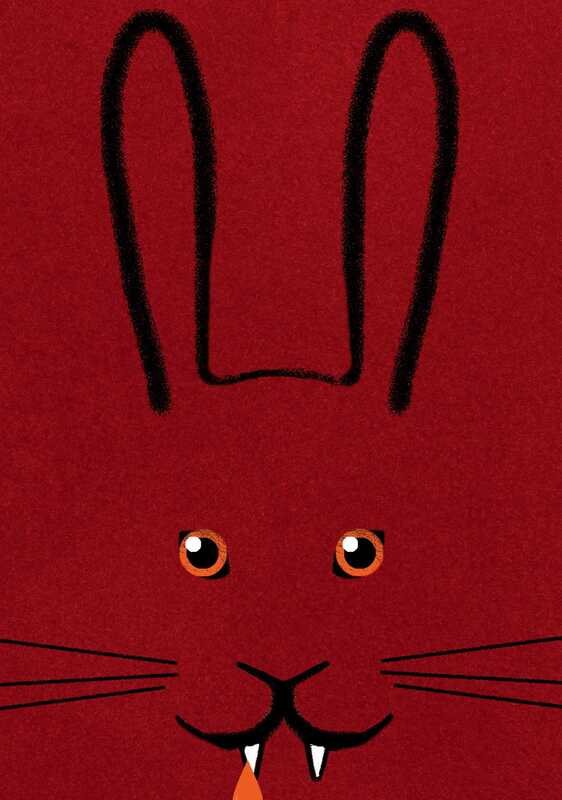 Could this innocent-seeming rabbit actually be a vampire? Bobby, Skeezie, Addie, and Joe are “the misfits.” Bobby is fat. Skeezie dresses like it’s 1957. Addie is tall, brainy, and outspoken. And Joe is gay. They’re used to being called names, but they know they’re better than the names they’re called. Besides, they’ve always had each other when times got tough. And surviving seventh grade looks like it’s not going to be easy. Starting with Addie’s refusal to say the Pledge of Allegiance and her insistence on creating a new political party to run for student council, the Gang of Five, as the four friends call themselves, is in for the year of their lives. It’s a year in which they learn about politics and popularity, love and loss, and what it means to be a misfit. After years of insults, the Gang of Five is determined to stop name-calling at their school. Finally, they are going to stand up and be seen—not as the one-word jokes their classmates have tried to reduce them to, but as the full, complicated human beings they are just beginning to discover they truly are. • Why do you think the author chose the character of Bobby Goodspeed to tell the story of The Misfits? Could you see another character narrating the novel instead? How would the novel be different with another narrator? How is Bobby wise beyond his years? • The Misfits is a uniquely written novel. Part of the story is written in prose and part of it is in a play format. Do you like this style of writing? Did it help you to learn more about the characters as you were reading? • Celebrating one’s individuality is a strong theme throughout The Misfits. Which characters “celebrate their individuality” more than others? • We don’t learn that Bobby’s mother has died until halfway through the novel. Does learning this important fact about Bobby’s life enable us to understand him better? Why do you think the author chose to withhold this information about Bobby until halfway through the story? • Other characters in The Misfits have also endured a loss. These losses have shaped their personalities and have affected each of them differently. Discuss how this is so. Is there a “right” way to deal with loss? • How do you feel about the character of Addie? Do you find her frustrating, or refreshingly honest? Would you be friends with Addie if you had the opportunity? Can you sympathize with Ms. Wyman regarding her feelings toward Addie? Do you think that Ms. Wyman was once a little like Addie when she was younger? And how is Addie ultimately like Ms. Wyman? • Bobby, Skeezie, Addie, and Joe rebel against name-calling and base the platform for their new political party on banishing name-calling. However, they are guilty of calling people names themselves. Cite examples throughout the book where they fall into this trap. Do you think they realize that they are name-callers? Is name-calling a natural part of who we are or is it learned? Can name-calling ever be a positive thing? • Examine and discuss the following pairings: Bobby and Mr. Kellerman, Addie and Ms. Wyman, Joe and Colin. How does each relationship demonstrate how people who seem outwardly very different can actually be very much alike? • The role of family is significant in the development of each character in The Misfits. Talk about each character’s connection with his or her family. How do the families help to define each character? • Bobby is surprised to discover that Pam was not popular when she was his age. How is this eye-opening and ultimately inspiring for Bobby? Do you think that Ms. Wyman, Mr. Kellerman and Bobby’s dad were “popular” when they were in seventh grade, or do you think they were more like the Gang of Five? • Bobby tells his friends that his dad says, “It’s better to just get along [and] not make waves . . . [B]ringing attention can be a dangerous thing.” Why do you think he said this to Bobby? • Mr. Kellerman makes the comment that “we’re all so ready to believe the worst about ourselves . . . we just accept them without even thinking about what they mean or even if they’re true.” Do you agree or disagree with him? • Although the No-Name Party ultimately loses the student council election, Bobby puts the loss into perspective by saying “sometimes it is about winning something much bigger.” How does the No-Name Party “win” anyway? Can you think of other examples where something has been lost, but something much bigger has been won? • The ending of The Misfits gives a glimpse into the Gang of Five’s future. What surprised you about the ending of the story? Can you try to predict how your circle of friends at school will end up one day? • After finishing the story, do you think Addie, Bobby, Skeezie, and Joe are really misfits? • Does The Misfits present a realistic portrayal of life in middle school or junior high? Why or why not? • After reading the book, do you wish that any of the characters were your friends? Who and why? • Do you think it’s possible for two boys or two girls to go out together in your school? Why or why not? • What do you think of the expression, “That’s so gay,” or “He/she is so gay”? Does being gay or not affect your opinion? • Is your school and/or your community a safe place to be a “misfit”? • What is the difference between seeing someone as “different” from you and “less than” you? • Do you think it’s possible for a mixed-race couple to date in your school? Why or why not? • Why does Addie refuse to say the Pledge of Allegiance? What do you think of her position? Do you agree or disagree with the position of the principal, Mr. Kiley? • Of all the characters in the book, who do you think shows the most courage and why? • Do you think the resolution of the story is realistic or a fairy-tale ending? Is it better for fiction to reflect the way things are or point the way to how things could be? • Is it possible for unpopular kids to be friends with—or go out with —popular kids? If not, what gets in the way of making this possible? • Addie, Joe, Bobby, and Skeezie are strong characters. What are their strengths and how do these strengths help them? • Addie makes assumptions about DuShawn. What are they and what does she learn that’s different from what she thought? Discuss other assumptions the characters make and what they’re based on. What assumptions do you make about groups or types of people? • Discuss the character of Kelsey. What is it that makes someone “painfully” shy? • Research the history of name-calling. Did you know that in the past, people were jailed or even killed for calling people names? Research historical situations where this was an outcome of name-calling. Can name-calling still carry significant consequences in today’s world? When has name-calling been used to oppress people? • Cite situations today where name-calling is used to ruin a person’s reputation. Provide current examples involving celebrities, members of the media, politicians, or local figures by reading the newspaper or scanning the Internet for several days or a week. • Find out more about the different political parties that exist in the United States, other than the Republican and Democratic parties. Why and when were these political parties launched, and what do they stand for? What party would you join? • If you had the opportunity to create a new political party for a school election, what would your platform be? How would you promote the party? Design several potential election posters with different logos and share them with your classmates. • Talk with your parents, grandparents, a teacher, or an older sibling about their experiences in middle school or junior high. Do they reveal anything surprising? Did you have any preconceived notions about that time in their lives, only to find out that they were actually very different? • Research the history of the Pledge of Allegiance and the controversies that have arisen over its use in schools and students’ refusal to participate in its recital. • Research the experiences of gay students in the past and the present. An excellent resource is www.GLSEN.org, the website of GLSEN (the Gay, Lesbian, and Straight Education Network). • Write about your own experiences of being a misfit, or what you imagine it is like for others who don’t fit into the mainstream in your school. James Howe is the author of more than ninety books for young readers. Bunnicula, coauthored by his late wife Deborah and published in 1979, is considered a modern classic of children’s literature. The author has written six highly popular sequels, along with the spinoff series Tales from the House of Bunnicula and Bunnicula and Friends. Among his other books are picture books such as Horace and Morris but Mostly Dolores and beginning reader series that include the Pinky and Rex and Houndsley and Catina books. He has also written for older readers. The Misfits, published in 2001, inspired the antibullying initiative No Name-Calling Week, as well as three sequels, Totally Joe, Addie on the Inside, and Also Known as Elvis. 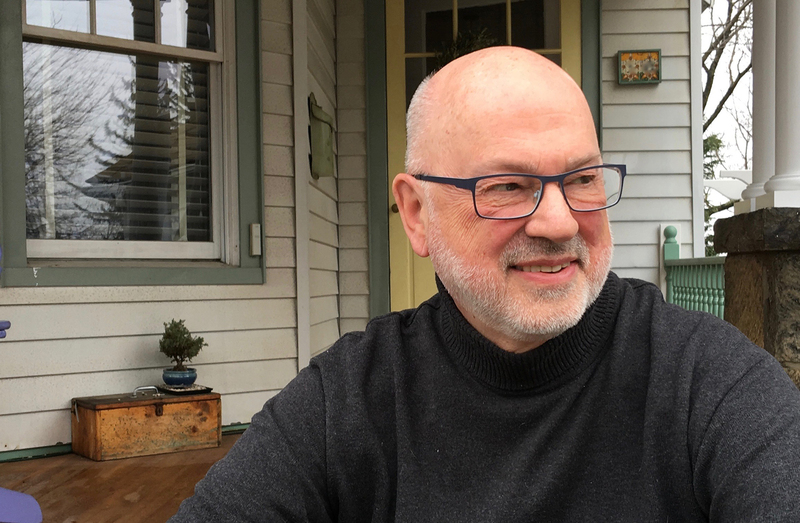 A common theme in James Howe’s books from preschool through teens is the acceptance of difference and being true to oneself. Visit him online at JamesHowe.com. "James Howe is the king! Bunnicula rules!" "Bunnicula is the kind of story that does not age, and in all probability, will never die. Or stay dead, anyway..."
"Bunnicula was one funny, scary, must-read vampire bunny when he first showed up. . . . He hasn't changed a bit. Very scary. Very funny." "As a kid, I saw the classic movie Dracula and became instantly afraid of vampires. Many years later, I read the classic children's book Bunnicula. Now—in addition to vampires—I am also afraid of bunnies. I hope you're happy, Jim." "The most lovable vampire of all time." "Move over, Dracula! This mystery-comedy is sure to delight."